The Louvre is actually the largest museum in the whole world, and qualifies as a historical monument in its own right. The Louvre is located on the right bank at the center of Paris in the 1st arrondissement. Prior to the development of the Eiffel Tower, it was the city's main landmark. The Louvre started life in the 12th century as a fort, remnants of which can still be seen inside its basement. It was continually renovated by royal families till 1682, when Louis XIV abandoned it in favor of the Palace of Versailles. Throughout the French Revolution, the National Assembly turned it the Louvre into a museum, amassing all the country's masterpieces inside it. It opened as such on 10 August 1793 with 537 paintings, nearly all of which were plundered from the Catholic church. During the Second French Empire (1852 to 1870) the museum hosted a grouping of some 20,000 paintings and art displays. During World War II, Nazi Germany occupied France from 1940 until 1944, plundering the museum's enormous collection. When Germany was ousted in 1945, the Office des Biens Privees (Office of Private Property) worked to regain the stolen art. Some 150,000 pieces of art returned to France, both those taken from the Louvre itself, along with others, including those from private collections. Although the Louvre has attempted to reunite these pieces with their rightful owners, nearly 700 pieces remain unclaimed, and stay inside the museum for preservation. The great majority of these pieces will stay within the Louvre forever, as their rightful owners were probably killed by the Nazis. The Egyptian collection dates to Napoleon's occupation of Egypt; in truth, lots of Egypt's antiquities were plundered and brought back for France. The most famous is the Rosetta Stone which enabled the Egyptian hieroglyphs to become deciphered. Although some items have been given back, items that dat back from 4,000 BC to the 4th century AD are still in the Louvre. Except for the temporary displays hosted in the Napoleon Hall, entry is free every first Sunday of each month, and on July 14. Every Friday from 6 pm to 9:45 pm, entry is free for all below 26 years old. 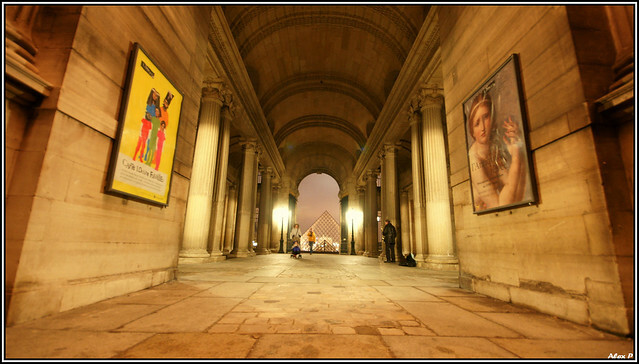 Every Wednesday and Friday, the Louvre is open until 9:45 pm. The ticket cost for permanent collections is 11 euros, 12 Euros for the Exhibitions within the Hall Napoleon, and EUR14 for a Combined Ticket for the Louvre as well as the Musee Eugene Delacroix. The actual museum space spans over 600,00 square feet, and regularly sees over 8 million visitors annually. You will find eight major exhibits which make up the permanent collection. These include about 400,000 items, more than 35,000 works of art, including archeological discoveries. The section on Islamic Art is housed in a 3,000 square meter pavilion spanning two floors inside the Visconti Courtyard.